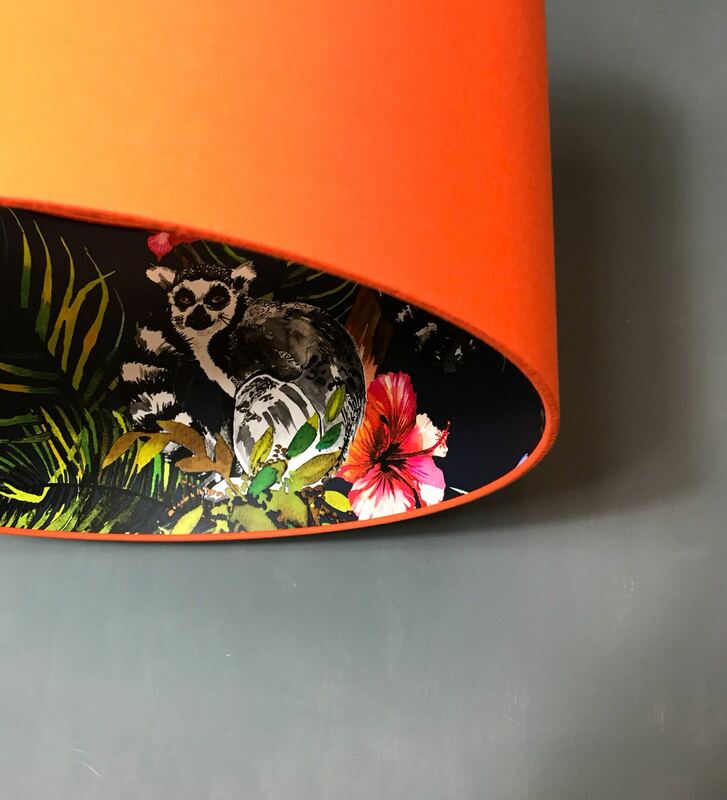 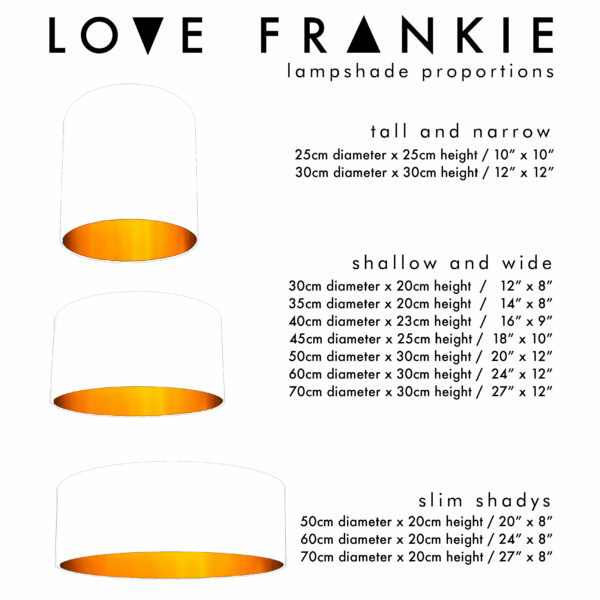 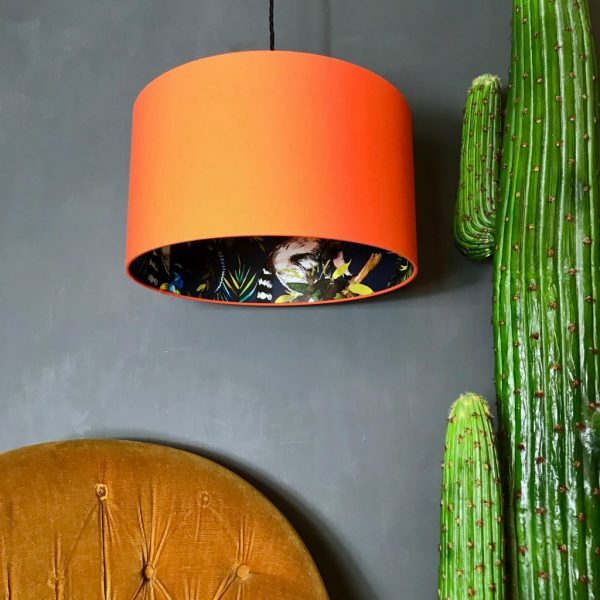 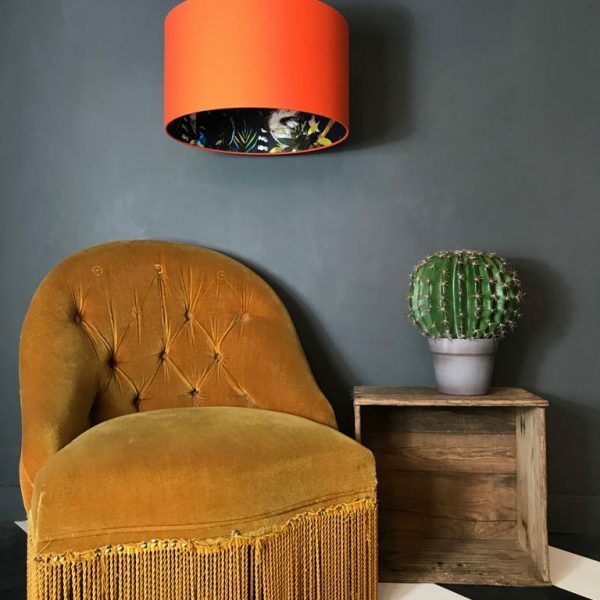 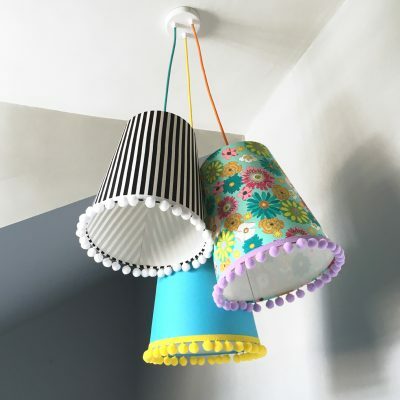 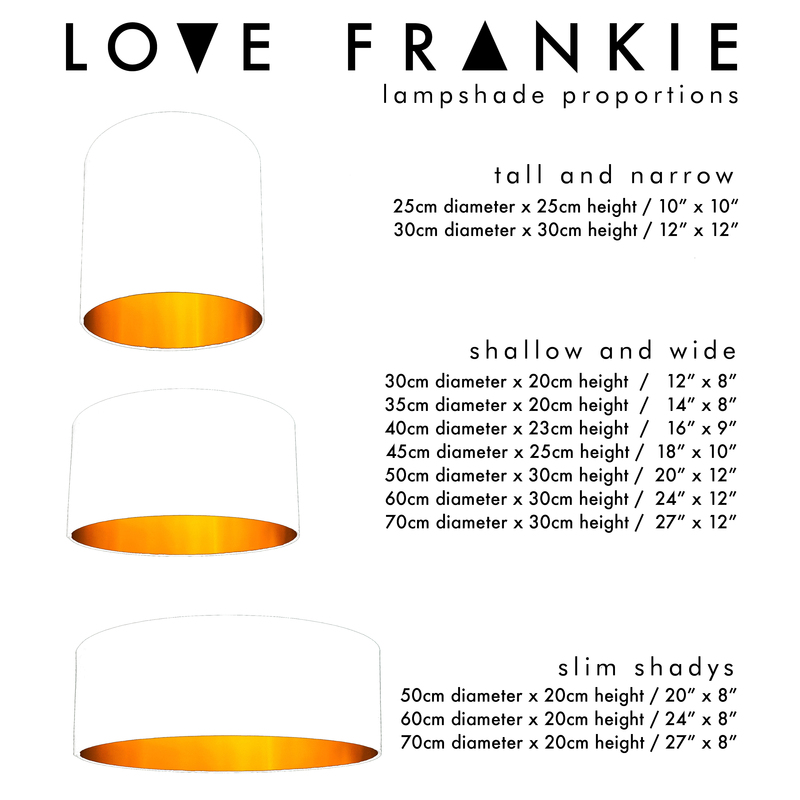 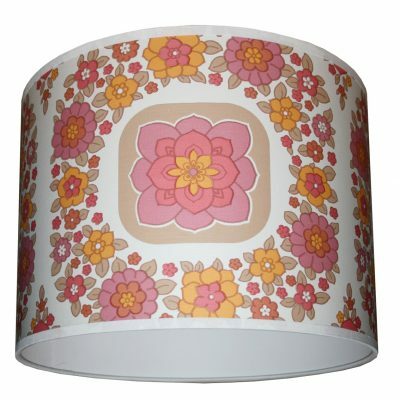 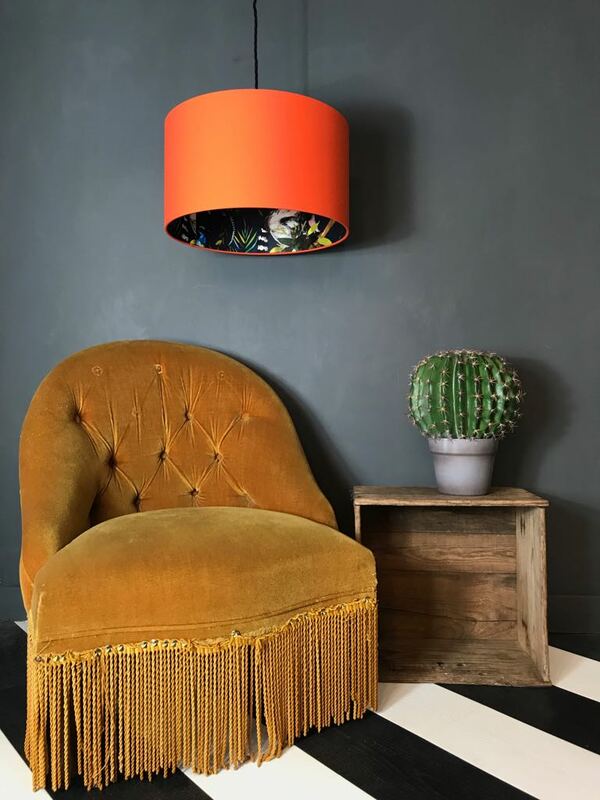 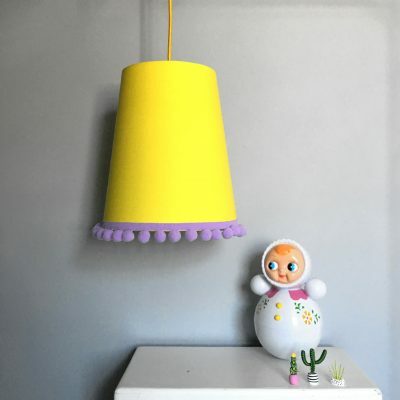 This beautiful silhouette lampshade is made using our best selling kooky lemur wallpaper in midnight blue on the inside and a sumptuously bright tangerine orange cotton on the outside. 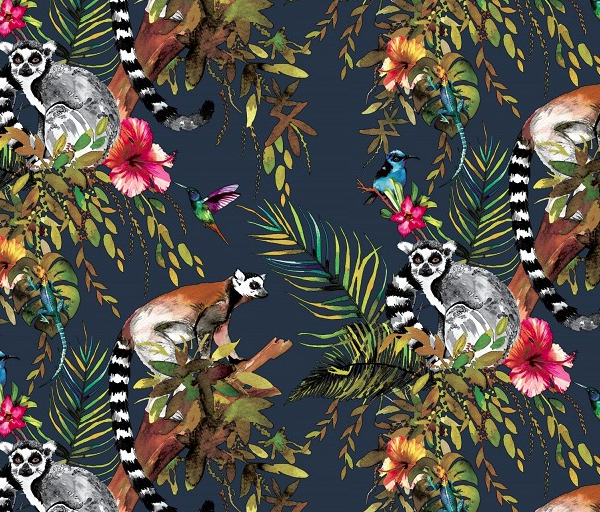 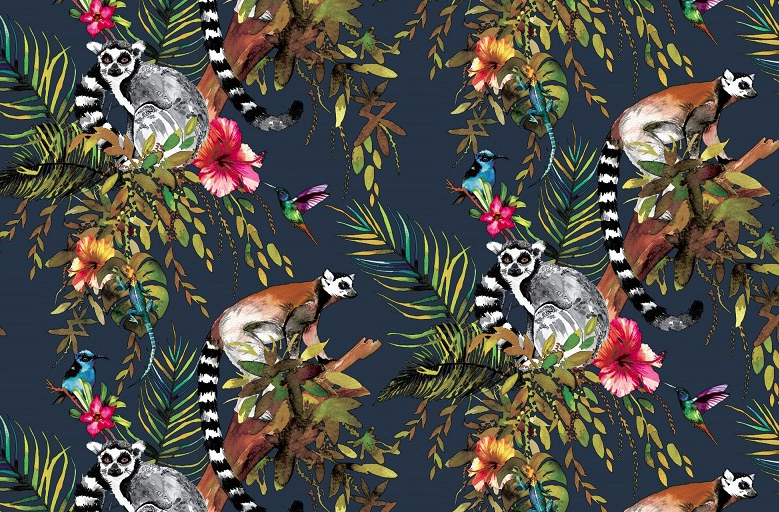 A colourful, vivacious wallpaper design featuring a fabulous foliage, including hummingbirds, gecko’s and of course lemurs. 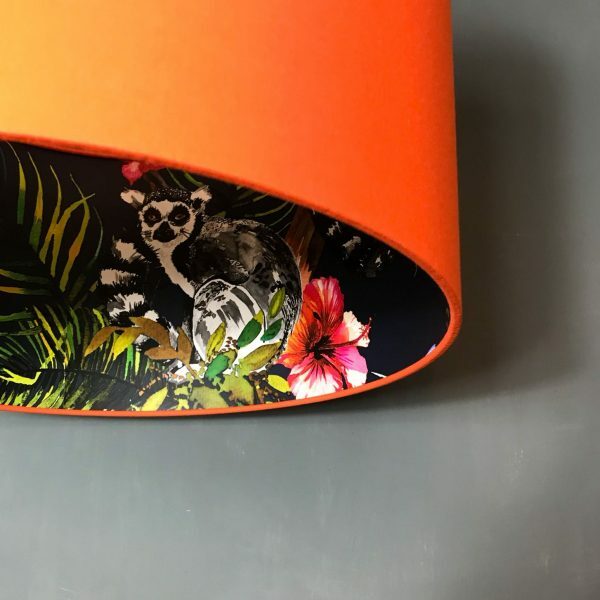 PLEASE NOTE: If the wallpaper used is directional, we could use up to four panels of wallpaper pattern matched together to make the correct size.